A. PRODUCTS LIABILITY: This coverage provides protection in the event of claims pertaining to your products. Covers real or alleged defects in the products you manufacture, sell, handle, or distribute. B. COMPLETED OPERATIONS: This coverage protects your business in the event of claims pertaining to real or alleged faults in work or services completed by your firm. RETROACTIVE EXCESS LIABILITY: In the event of catastrophic loss and ensuing claims, this exces coverage will provide additional liability protection for current as well as retroactive periods of duration. SEXUAL MISCONDUCT COVERAGE: This endorsement covers the insured for those sums that the become legally obligated as the result of damages arising from actual or alleged sexual misconduct. A there are many exclusions to this coverage, the actual policy should be read for exact wording. VENDORS COVERAGE: This coverage extends your products liability coverage to include any of you vendors when distributing your products. WATER DAMAGE: In the event water escapes from the containment of your premises and damages a adjoining property and you are held liable, this coverage would pay up to the stated policy limits. ADDITIONAL PERSONS INSURED: This endorsement extends your policy to include your employees as a Named Insured while acting within the scope of their work related duties. ADVERTISING INJURY: This coverage protects your business from advertising "injury" to others. Coverage includes lawsuits arising from your advertising or promotional activities, where you are held liable for piracy, unfair competition, unknowing infringement of copyright, slander, or libel. AUTOMATIC COVERAGE FOR NEWLY ACQUIRED ORGANIZATIONS: This endorsement provides 90 days of automatic insurance for any newly acquired property or organization which you have gained ownership or majority interest. BROAD FORM PROPERTY DAMAGE: This coverage expands your general liability policy to include certain property while in your care, custody, or control. When performing normal operations the property is insured from damages resulting in a loss of use, for which you (or your business) are held liable. CONTRACTUAL LIABILITY: This coverage protects your business when liability arises from obligations you have assumed under specific contracts with others. DEFENSE COSTS: In our proposed policy the legal defense provided for any claim will be paid up to the limit stated in the policy, not to exceed the aggregate total amount available for the policy year for all liability claims combined. DISASTER RELIEF: This coverage provides protection against loss when disaster relief operations are performed by contractors. ELEVATOR COLLISION: This coverage provides protection in the event of an elevator accident in which the elevator or the property it is carrying is damaged or destroyed. EMPLOYEE BENEFITS: This coverage would protect your business in the event you were held liable for claims arising from your employee benefits program. In the event of loss due to improperly counseling plan participants, handling records carelessly, failing to enroll or terminate employees, or improperly interpreting coverage, you would be covered up to the stated limit. Cobra coverage in effect. EMPLOYMENT RELATED PRACTICES: This endorsement covers bodily injury and/or personal or advertising injury to a person from the refusalto hire that person, termination of that person's employment, or employment practices such as coercion, demotion, harassment or discipline. EXPLOSION, COLLAPSE, UNDERGROUND PROPERTY This coverage (also known as XCU) provides insurance protection for your business in the event of damage to the property of others due to an explosion (other than caused by boiler), collapse of structure or underground maintenance and where your business is held liable. EXTENDED BODILY INJURY: This coverage protects you or your employees when held liable for damagescaused by assault and battery or physical restraint ofpersons on your premises, or in the course of your operations, which results in bodily injury. This covers intentional acts when necessary to protect your property or the lives of others. FELLOW EMPLOYEE: This coverage would protect employees when named as negligent in a claim filed by a fellow employee, for damages resulting from a work related injury. 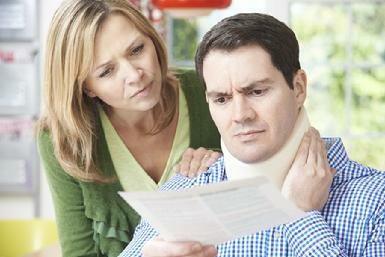 While Workers Compensation protects your company, an individual employee has no protection. This endorsement protects that individual employee in the event of suit. FIRE DAMAGE LEGAL LIABILITY: This coverage protects your business against financial loss in the event your leased or rented property is damaged due to fire or explosion caused by your operations. Payment is made when your firm is legally held liable. HOST LIQUOR LIABILITY: This coverage protects your business when held liable for loss or damage that occurs due to the serving of alcoholic beverages at a company function deemed incidental to your operations. INCIDENTAL MEDICAL MALPRACTICE: This protects your business when liability arises from the administration of medical aid by an employee(s) which results in injury to another employee or a membe of the public. Your firm as well as the employee(s), when held liable for malpractice, is covered if the aid wa given on your premises. INDEPENDENT CONTRACTORS LIABILITY: This would protect your business in the event a hired sub-contractor is held responsible for injury or damage to others, while performing operations under contract with your firm. It provides coverage when the employed contractor proves to be underinsured and cannot cover the entire loss. Defense expenses related to the loss are also included. LIMITED WORLDWIDE LIABILITY: This coverage protects your business in the event of suit from outside the United States and its territories, as well as Puerto Rico and Canada, when you are found liabl for damages resulting from products you sell for use in foreign countries. MEDICAL PAYMENTS: This coverage pays for medical expenses incurred by persons as a result of injury due to an accident on your premises. The coverage pays to the established limit, regardless of who was at fault. mobile machinery and equipment are covered. NON-OWNED WATERCRAFT: This endorsement provides coverage for the operations, maintenance o use of non-owned watercraft, or owned watercraft under 26', when damage or injury occurs in direct relation to your business operations. PERSONAL INJURY: This coverage protects your business in the event of "injury" due to: false arrest, detention, imprisonment or malicious prosecution; libel or slander; defamation of character; wrongfull eviction or entry, or invasion of the right of private occupancy privacy. This coverage is enforced when you are held liable for damages. POLLUTION LIABILITY: This coverage provides protection in the event your business is held liable for pollution related damages caused by your products completed operations, whether by sudden or gradual emission. PREMISES/OPERATIONS: This coverage protects your business in the event of loss due to bodily injury or physical damage arising from ownership, maintenance or any use of the insured premises. It also covers the operations performed by your firm. PRODUCTS LIABILITY RETROACTIVE: This coverage (also known as "stop gap discovery period") will cover the potential insurance gap that exists when making thetransition from a claims made policy to an occurrence form or to another claims made policy that has a retroactive date of inception.